What’s Smart about Strategic Beta? Increasingly, investors are embracing strategic beta to capture better risk-adjusted returns by isolating and blending specific risk factors such as value, low volatility, quality, size and others. Increasingly, investors are embracing strategic beta to capture better risk-adjusted returns by isolating and blending specific risk factors such as value, low volatility, quality, size and others. 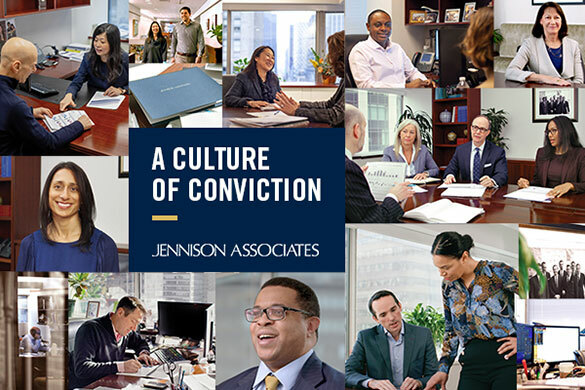 It’s not a one-size-fits-all solution, and integrating it into a portfolio requires a new look at how investment performance is managed, achieved and measured. Strategic beta can certainly be smart, but smart beta is not always strategic. That’s how the industry tends to be thinking these days about the passive, transparent and rules-based investing strategy that favors indices based on compensated risk factors, such as value, low volatility, quality, size and others, over those based on market capitalization, such as the S&P 500. 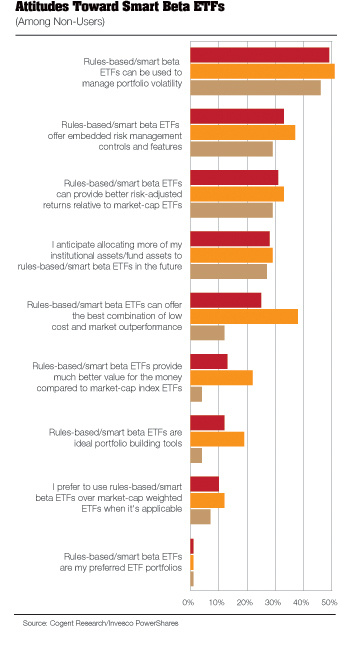 The term ‘smart beta’ has been adopted by the broader investment industry to describe this tilt toward factors that have proven to drive returns, but most providers prefer a more descriptive—and smarter—term and one that doesn’t imply that other strategies are...well...not smart. Hence the terms strategic beta, advanced beta, active beta, alternative beta and engineered equity. In general, investment returns fall into two categories: alpha and beta. Alpha is the performance of assets, strategies and tactics above the return of the overall market or a specific market benchmark. Beta is the return achieved from the overall market itself, often represented by a broad benchmark such as the S&P 500 index. The issue is that the components of a traditional index are selected in proportion to their market capitalization, which puts more emphasis on the largest companies. Investors have found that this does not drive returns and can introduce unwanted risks. Strategic beta—or the familiar smart beta—is a strategy that deploys index investing to provide enhanced, risk-adjusted returns in a simple, straightforward and low-cost way. This has come to compete directly with active asset management. The interest in strategic beta originated with academic research which argued that market cap-weighted indexes may not be the efficient investment vehicles that theory would suggest. “Market cap-weighting exposes investors to unrewarded sources of risk,” says Kal Ghayur, head of the ActiveBeta Equity Strategies team at Goldman Sachs Asset Management (GSAM). Markets aren’t efficient and prices deviate from fundamental values. Market cap-weighting tends to overweight overvalued stocks and underweight undervalued stocks. “Furthermore, if market cap-weighted indexes become highly concentrated because of bubbles or other speculation in the market, then that kind of risk is not rewarded over time either,” he says. There are a few ways that strategic beta strategies are implemented in portfolios. First, many managers use it to provide excess returns, and second, to manage risks. “Many complement or replace active managers with an engineered equity strategy to enhance returns and/or to manage risk exposures,” he explains. Many asset owners have a collection of active managers and end up with a neutral or undesired set of exposures at the plan level. By adding in an engineered strategy, they can intentionally tilt their plan towards a desired exposure. 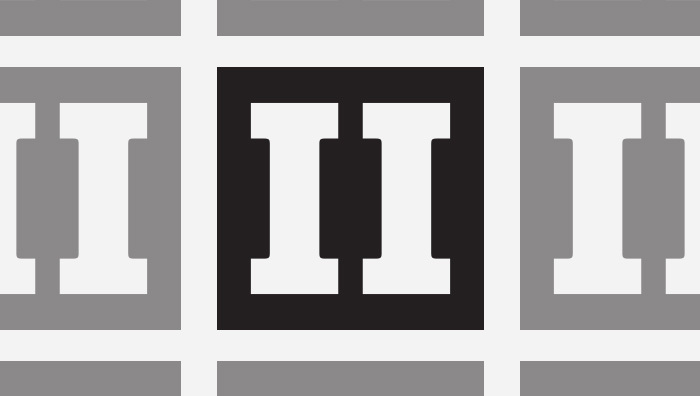 The third way is to manage investment outcomes. There are a greater number of more sophisticated investors assessing their liabilities and using factor exposures in order to meet them, perhaps targeting value to meet long-dated liabilities or low volatility to mitigate risk. The growth of strategic beta reflects a confluence of factors. “The financial crisis and resulting market volatility had an effect on investor psyches and the products they were looking for,” says Ido Eisenberg, portfolio manager at J.P. Morgan Asset Management. “Out of that came greater knowledge of the components of return: What’s alpha, and what’s beta.” There was more scrutiny on active managers, their performance and especially their fees. In addition, investors began to experience first-hand the risks involved in investing in market cap-weighted indexes. “Three things are happening,” he says. “There is an evolving understanding of where returns are coming from, we’re now calling these things by their name, and investors are getting what they’re asking for,” he says. Despite the continued growth, strategic beta still represents a small percentage of the market. “We’re still in the early days,” says Dan Draper, managing director of global ETFs at Invesco PowerShares Capital Management. At yearend 2014, there were $234 billion in strategic beta assets. Market cap-weighted exchange-traded funds (ETFs), by comparison, claimed just under $2 trillion. “Strategic beta is just under 12 percent of total ETF assets,” he says. 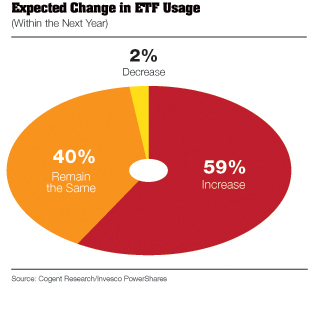 Growth rates differ dramatically, with strategic beta assets growing 43 percent in 2014 while traditional ETFs grew 22 percent. Market conditions in recent years with low interest rates led to high correlations among asset classes. “This has made security selection difficult for asset managers and there has been a low dispersion of returns,” he says. With the end of quantitative easing, investors anticipate rising interest rates, volatility is rising and there is a greater dispersion of returns. As a result, many investors are moving out of traditional benchmark indices and into low volatility indices. For more sophisticated applications of strategic beta, beyond basic core-satellite strategies, adoption has been slow, and the market is still sorting out the nomenclature and figuring out how to deploy these strategies. In the long-only space, strategic beta is the evolution away from investing in traditional market cap-weighted indices, providing smart access to an asset class or a factor style of investing. Many investors here have embraced value and low volatility, which puts a sharper point on beta. More recent is the evolution of strategic beta to alternative beta, which seeks to go beyond dynamically managed market exposures to isolate and capture other return premia, such as carry, or behavioral biases, such as momentum. This encompasses long-short strategies also. Despite having the same transparent and rules-based characteristics, these alternative strategies are in their infancy as investors aren’t always clear about what they are, which bucket they fall into and how they interact with the rest of the portfolio. Investors want to see a liquid product, low fees, a truncated downside, and low correlation in the alternatives space. Such alternative beta strategies are a new opportunity set that systematically brings alpha back into the equation, and these products give some color to the gray area between traditional beta and pure alpha. There is a passive and systematic feel, but they function in an actively managed way. Strategic beta can now define and measure compensated risk factors. “It can identify, isolate and price them, giving them a fair market value,” says Draper. It’s about providing size, scale and liquidity to performance attribution. “You can get exposure to the 100 lowest-volatility stocks on an exchange at any one time, and do it all in real time,” he says. Flows into strategic beta strategies are coming from those who SSGA’s Bender calls former benchmark huggers. “Investors have moved towards advanced beta less because they think there are issues with market cap weighting and more because they want returns above market cap for lower fees,” she says. Strategic beta is another vehicle, a third way of implementing an investment strategy, and investors are making active decisions without hiring an active manager. Most clients have a core/satellite approach, with beta at the core, which is increasingly passive, often in traditional cap-weighted index funds. Satellite strategies provide alpha, and are often actively managed, although this is changing as offerings within strategic beta become more sophisticated. “It makes a lot of sense to replace the core with strategic beta,” she says, for better risk-adjusted returns. As strategies evolve, strategic beta works well alongside satellite investments as well. While press reports have discussed how strategic beta adoption is already having an impact on active managers’ fees and volume of business, most providers of strategic beta view themselves as a complement to active management rather than a replacement. If an investor has a stable of active managers, for example, each following a specific investment strategy, strategic beta can fill any factor gaps. In sum, strategic beta can provide factor exposure with more modest fees than another active strategy and better liquidity, especially when compared with hedge funds. For most investors that rely on a combination of active and traditional passive management, strategic beta provides a bridge. “You can use strategic beta to make factor tilts in a cost-effective way,” says PowerShares’ Draper. Strategic beta can also overcome capacity restraints in active management for those cases in which alpha can be arbitraged away. For example, many small cap and emerging-markets funds are closed. “If enhanced return is coming from a factor, strategic beta can complement the source of alpha, especially where capacity is an issue,” he says. “Investors will be willing to pay for active management if they do what they say they’ll do,” says J.P. Morgan’s Eisenberg, noting that the two live together. “Strategic beta is not a substitute, it’s an evolution in the way we invest, and there’s room for both,” he says. Factor, or risk premium, harvesting can stand side by side with true alpha extraction from the market. Active managers are feeling the heat, however. “Some active managers have these same systematic exposures,” says Northern Trust’s Peron. Many feel the pressure because now these strategies can be replicated more efficiently. “They are pressured on fees and even their existence,” he says, adding that active managers will get full fee only if they can provide added value beyond risk exposures—true alpha. “We find growth coming from three groups of investors,” says GSAM’s Ghayur. One has a concern about market cap-weighted indexes and is incorporating strategic beta as an alternative. “This is a strategic asset allocation decision which could change an investor’s policy benchmark,” he says. For example, an investor might change the U.S. benchmark from the Russell 3000 to 50 percent Russell 3000 and 50 percent in a Russell 3000 low-volatility strategy. The second group is those who are replacing active managers. The third category is a group of investors that are already diagnosing and optimizing their portfolio’s exposures to strategic beta. “They understand the factor exposures they have, and they like the active managers that have performed well,” he says. Now they are implementing exposure management and portfolio completion strategies with strategic beta. For example, they may identify a negative exposure to momentum in their overall portfolio. “They might choose to true up their exposure to momentum as a result, implementing that through a strategic beta solution,” he says. Changing the policy benchmark is an enormous issue, and where much of the conceptual and philosophical debate around strategic beta is taking place. “On one hand, investors want to move away from cap weighting, which is an argument to change the policy benchmark, but then it raises a number of issues,” says Ghayur. One is the performance benchmark. If the benchmark is 50 percent Russell 3000 and 50 percent Russell 3000 low volatility, and an investor implements a momentum strategy, it’s impossible to compare that to a policy benchmark which is 50 percent low volatility. “While market cap weighted indices have many problems from an investment standpoint, one major, practical advantage is that they make excellent performance benchmarks, because market prices reflect consensus expectations,” he says. Therefore, any strategy can be compared to a cap-weighted index. Integrating strategic beta strategies into a portfolio is an active decision on behalf of the asset owner in itself. “Benchmarking and most passive core investments are still based on cap-weighted indices,” says SSGA’s Bender. Breaking away from this is a major change as it requires changing policy benchmarks. “This is a big paradigm shift, and it won’t happen quickly,” she says. It will require the asset owner to take responsibility to make a strategic bias toward a factor, a decision usually outsourced to an active manager. “If the new benchmark doesn’t perform, someone on the team will be left holding the bag, but the benefits are compelling,” she explains. It can affect the career of the institutional investor to take it on. “In the past, you’d just hire an active manager, but now, you’re putting your career on the line in making the recommendation,” she explains. Furthermore, patience is required to harvest the returns of a strategic beta strategy. “An investor needs a one-to-three year strategic review and a gauge to the policy benchmark,” says Bender. A low-volatility factor tilt is a good illustration, as it will underperform in a bull market, but there is excellent downside protection. “It can be hard to imagine consistent underperformance through strong growth cycles, and someone has to answer to that,” she says. If, however, it’s held through a full economic cycle, it will likely prove itself. “We’ll see a lot of debate about this,” she says. Each of the factors is cyclical and they work better for long-term investors over a long time horizon. The key question to ask when implementing a strategic beta strategy is, ‘What am I after, and why?’ When making the bet on factors like size, volatility, value and others, the active manager no longer owns the performance—or lack thereof. The asset owner does, and there’s more attention paid to beating the benchmark. Some have called it an ‘active manager-lite solution.’ Strategic beta provides a framework and infrastructure to tailor investments in a precise way to address specific investment objectives. In the world of alternatives, there are transparent and rules-based strategies to replicate trades. Many providers create passive vehicles that pick up return premia and behavioral biases in the market. Strategic beta broadens the beta pallet, acting as different building blocks in a well-diversified portfolio. The idea is to allow the objectives of the portfolio dictate how they’re combined. Most strategic beta implementations combine risks that offset each other in a business cycle or through macro regimes. “The individual factors tend not to be correlated,” says SSGA’s Bender. Many investors like the defensive combination of value along with low volatility and quality. “This provides lower beta, but there is less drawdown in sluggish or turbulent markets,” she says. Adding value brings in a price dimension, and it will improve performance to stay away from factors that are near the highs of their cycles. With yields still low in fixed income, some investors combine yield and value. Momentum has been a good diversifier to value, because of low correlation, as well. “There are periods when they will all underperform,” she says. Diversifying is not a guarantee, but it can ameliorate the issue. “The fundamental objective is to pair compensated risks for their attractive correlation properties,” says Northern Trust’s Peron. For example, quality and value have a low or slightly negative correlation, and combining them optimally and using optimization techniques can improve risk-return ratios. “We optimize the intersection of those two factors to improve risk-adjusted returns.” In general, he recommends combining quality with value, dividend and low volatility. “Quality pairs with each of them very well,” he notes. 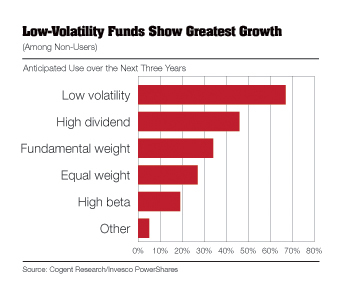 There is a strong theoretical case for strategic beta, and philosophically, it’s a strategy that leans into winners and provides a certain return profile, as custom indices impound investment style preferences into beta returns. However, investors need to ask themselves two questions before adopting this strategy. First, ‘What is the investment objective?’ Investors need to be clear about goals, strategy, and time horizon. Second, ‘Can we live with it?’ Adopting a strategic beta strategy represents taking a clear view on what will drive returns. Will deviation, the potential for sustained drawdowns and periods of underperformance be a problem? If it’s not understood, it’s neither smart nor strategic. One issue that concerns investors is concentration risk. If a risk factor gets too crowded, the premium goes away. This happened in 2007 when there was a correction in value stocks while Bear Stearns was trying to unwind many of its trades. “At least with advanced beta, there is more transparency, and investors can generally know which factors flows are going into,” says Bender. “It’s a real issue and anyone investing in strategic beta strategies should be thinking about it.” However, the crowding is unlikely in this market right now. Concentration can also affect liquidity. For example, it’s possible that a small number of securities are at the intersection of combined factors. “A well-designed strategic beta portfolio will have max holding caps and liquidity restraints around these positions,” she says. Another hurdle that investors tend to see the world through market cap-weighted benchmarks. “Investors are very much wedded to market cap,” says J.P. Morgan’s Eisenberg. “They may ask for a strategic beta exposure, but in the back of their minds they will always compare it to market cap.” Strategic beta works differently and it can’t be compared to traditional benchmarks on a year-on-year basis, but it can over a full economic cycle. Strategic beta isn’t built to outperform per se, but to provide better risk-adjusted returns. “The point of a market-cap index fund is to hold more expensive stocks in a momentum market,” he says. A strategic beta strategy rebalances regularly to reweight. “It’s part of the index construction,” he says. “We want to get these strategies in the right hands,” says SSGA’s Bender. A smart beta strategy is simple: it just tracks an index. However, it represents a huge shift of ownership over performance, which has been a major challenge to the space. Investors need to be in it for the really long term, have strong investment beliefs and with good governance structures in place.